I have a pdf document that I would like to turn into an online JotForm that can be filled out and submitted online. Is that possible? 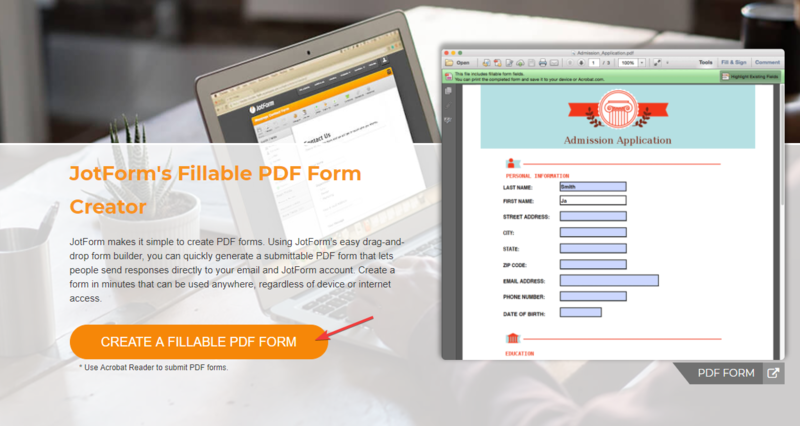 If your PDF document is a Fillable document, then you can try converting it to an Online Form. 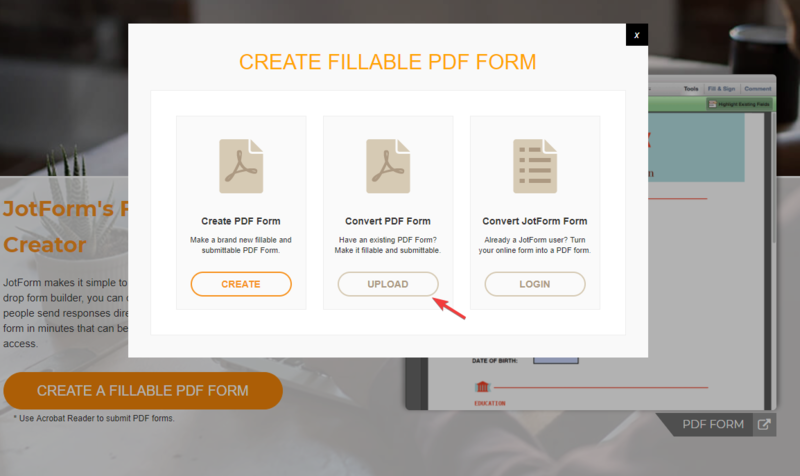 Please checkout this link https://www.jotform.com/fillable-pdf-form-creator/ and click CREATE FILLABLE PDF FORM. Then click "Upload" under Convert PDF Form. And upload your PDF document. It will send you an Email Notification if the conversion has been successful or not.